For a well-appointed and sophisticated compact car, the smart choice is the Hyundai Elantra, available now at Jim Burke Hyundai. With its roomy cabin, high-tech features and stylish design, the Hyundai Sonata is a standout in the mid-size sedan segment. Test drive the Hyundai Tucson at Jim Burke Hyundai to discover how fun and affordable driving a new crossover SUV can be! Hyundai's new Santa Fe meshes the versatility of an SUV with the agility and smooth ride of a crossover to deliver the best of both worlds. Why Buy From Jim Burke Hyundai? 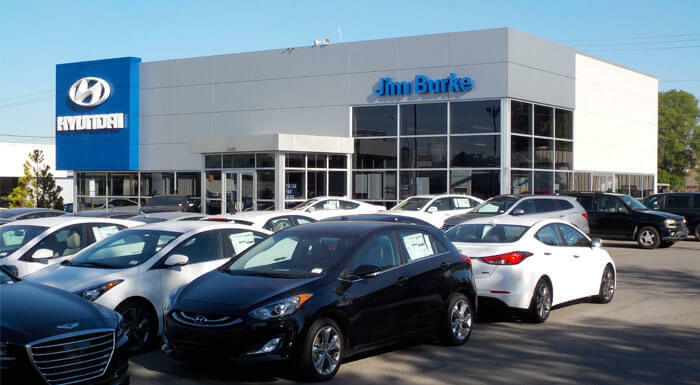 As your Birmingham car dealer of choice, Jim Burke Hyundai understands what local Alabama shoppers need most: a Jefferson County car dealership they can trust 110%. We don’t make you jump through hoops to buy a new Hyundai. We won’t force you to sign away your first born to get qualified for a used car loan. We never cut corners when performing car repairs, nor do we use cheap car parts (only authentic Hyundai parts, baby). We keep our prices insanely affordable so you can stay sane when shopping. And unlike other car dealerships near Hoover, our dedicated team members offer up all these intangibles with smiles. 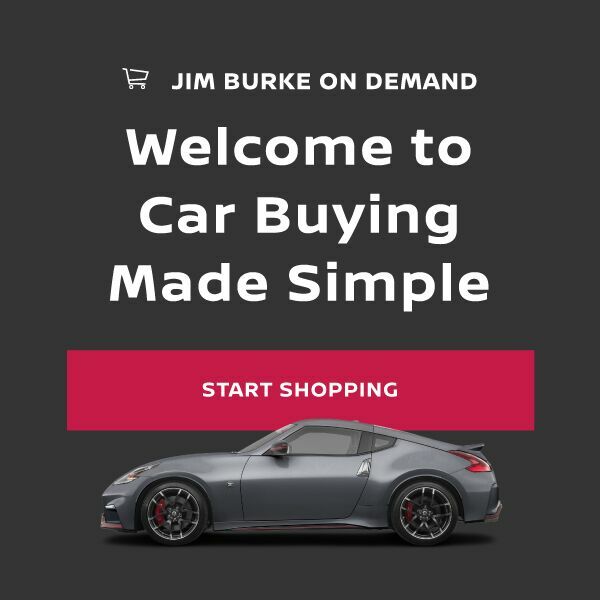 Simply put, when you choose Jim Burke, you’re guaranteed convenience, an unparalleled shopping experience, and top-tier quality from the very moment you set foot on our showroom floor. To learn more about the benefits of working with our Birmingham dealership, read our “Why Buy From Us?” page. You’ll also discover that we offer customers additional freebies, such as free shuttle pick-ups, free oil changes and wiper blades for life, and more! You know the drill: Pick up the phone and call us at (205) 588-6283 to schedule service or a test drive in a new Hyundai or used car. The rest will be history. The sales department at Jim Burke Hyundai is here to assist local car buyers with locating the affordable new Hyundai they have been dreaming of; our sales specialists are highly knowledgeable in every new Hyundai model. Popular Hyundai vehicles like the new Elantra, Sonata, Tucson and Santa Fe are all here in stock in a range of trims, colors, and options. 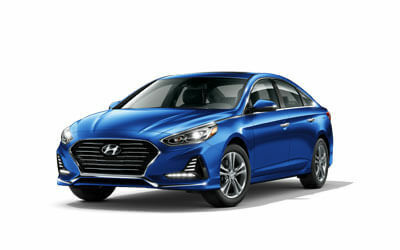 Fuel efficiency and exceptional value are hallmarks of Hyundai vehicles; just look at the new Accent subcompact car, Sonata Hybrid sedan and Tucson crossover for evidence of this. Shop our new car inventory now, then plan a visit to our dealership soon to speak with our helpful Hyundai sales associates and take your Hyundai of choice for a test spin! Our Hyundai dealership's in-house finance department is staffed with auto financing experts to assist you in your new Hyundai or used car purchase. You can fill out our secure online credit application in minutes; then, we will contact you to inform you about your financing options, we can speak about new or used Hyundai cars you have been eyeing. Our finance professionals work with seasoned financial lenders on your behalf and negotiate the auto loan terms and rates that are in your favor. Do not allow a less than perfect credit score stop you from getting into a new or used car of your choice. Apply for auto financing today! Find the Hyundai parts you need for your next at-home auto repair right here at Jim Burke Hyundai! Our on-site Hyundai parts department stocks an extensive range of genuine Hyundai components for various Hyundai models, all at driver-friendly prices! Our knowledgeable parts team members are here to assist, so do not hesitate to contact us with your Hyundai parts request. As a full-service Hyundai dealer, Jim Burke Hyundai also provides Birmingham area drivers and car shoppers with a large selection of used and Hyundai Certified Pre-Owned (CPO) vehicles. Hyundais make for excellent used cars, thanks to their low cost of ownership and already affordable prices -- even when new. Car buyers on a budget can find a quality used Hyundai or a pre-owned vehicle from other popular automakers here at Jim Burke Hyundai. Our CPO Hyundai inventory features late model, low mileage cars that have been rigorously inspected by Hyundai service technicians. Shop our complete used car inventory now to find a pristine pre-owned car at a great price. Our new and used Hyundai dealership in Birmingham, AL has a highly skilled and trained team of service technicians at our dedicated service department. Our Hyundai factory-trained technicians also hold ASE certifications, which enables our service staff to work on a vast range of makes and models that are driving around Birmingham and beyond. Be sure to schedule service or visit the Jim Burke Hyundai service center for your next tire service or oil change! Jim Burke Hyundai is located in Birmingham, AL and is proud to serve drivers from Tuscaloosa, Talladega and beyond. Before driving over to our dealership, you can take advantage of the many useful resources we make available here on our website. For instance, you can research the very latest Hyundai models, apply for auto loans, schedule auto service and much more -- all from the comfort of your Birmingham area residence! As your trusted Hyundai Dealership in Birmingham, our philosophy at Jim Burke Hyundai is simple: Make a promise to treat the customer right. From the moment you speak to any one of our salespeople, you'll be treated courteously and with respect, because we want you to have an unforgettably positive car-buying experience. Searching for a superior Hyundai dealer or an affordable used car lot in Birmingham? You'll find the best selection and prices at Jim Burke Hyundai. And if you need your car serviced - regardless of make or model - our professional technicians will get the job done correctly and promptly. Yeah—we’re a one-stop shop for all your automotive needs. 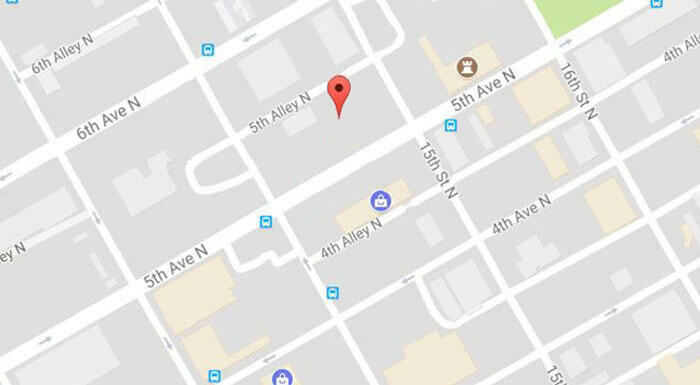 Our Birmingham car dealership is conveniently located at 1424 5th Ave North. We invite you to stop by our spacious showroom, meet our friendly staff, and let them introduce you to our lineup of new Hyundai vehicles or our extensive inventory of used cars. As your trusted Birmingham Hyundai dealer, we'll take the time to listen to you so we can find the right car to suit your needs and budget -- without putting pressure on you to buy. We appreciate your business! For updates about our dealership or sales, feel free to follow us on Facebook. We're very proud to be rated as one of the best car dealerships in Birmingham, and each member of our team looks forward to showing you how a real Hyundai dealership treats customers. Jim Burke Hyundai is proud to sell superbly engineered Hyundai automobiles. Recognized by automotive experts, consumers, and government agencies, Hyundai represents reliability, safety, superior craftsmanship, advanced technology, and overall quality. From sporty coupes and luxurious sedans to versatile SUVs and fuel-efficient hatchbacks, there's a Hyundai for every taste and budget. Steer clear of Birmingham gas stations with the super-green, fuel-efficient, compact yet spacious Hyundai Elantra. Priced well below most class competitors, the new Elantra busts the myth that small cars are out of style. An IIHS Top Safety Pick+, the Elantra keeps occupants protected, but the surprising comfort within its cabin is why the Hyundai Elantra is making a resurgence. Front and rear heated seats? Yes, please. Test drive the new Elantra at our Birmingham Hyundai dealership, and we’re sure you’ll become its newest fan. 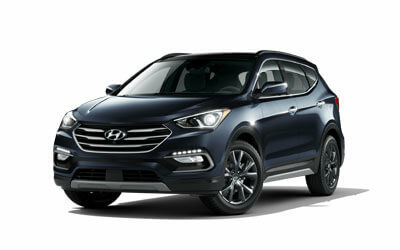 The power and ruggedness of an SUV is perfectly epitomized in the new Santa Fe. Featuring modern tech, a beefy V6, and a towing capacity that is borderline superhero-like, the Hyundai Santa Fe makes quick work of household chores, while also being the perfect vehicle for a Crimson Tide tailgating party. 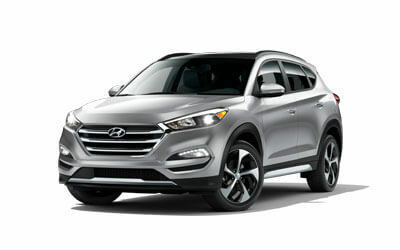 If you need a new SUV near Tuscaloosa, you’ll find no better crossover than the new Hyundai Santa Fe or Santa Fe Sport. Browse our current selection of Santa Fe SUVs for sale in Birmingham. As one of America’s most popular cars, the new Sonata is as classy as it is affordable. Offering the most passenger volume in its class, as well as a host of top-of-the-line safety systems, the Hyundai Sonata just makes too much sense to pass up. In fact, with the Sonata at your disposal, we’re certain you’ll enjoy every trip taken—including those typically stressful work commutes. Come discover what makes the Hyundai Sonata such a fantastic car. View our selection of new Sonata cars for sale in Birmingham. Ready to up your game with a unique SUV? Enter: The all-new Hyundai Kona, a compact crossover that’s not short on style or power. Available AWD allows the Kona to tackle everything from slick roads to steep hills, and its special multi-link suspension smooths out every twist and turn. With the first-ever Kona, the world will be in the palm of your hand. 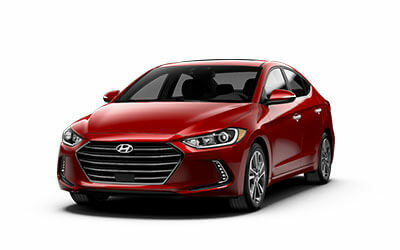 Take a moment to browse our extensive online inventory of new Hyundai models for sale, where you can "comparison shop" a variety of vehicles and pick your favorites. And don't forget to check out our money-saving Hyundai specials. When you're prepared to take the next step toward a new Hyundai, contact our Hyundai dealership near Hoover at (205) 386-9591 to schedule a personal test drive. Jim Burke Hyundai is Also a Premier Used Car Dealership! As one of the leading used car dealerships in Birmingham, we pride ourselves on selling only the "cream of the crop," so you can buy a used car with confidence. If you are in the market for a value-priced pre-owned vehicle, you'll be pleasantly surprised at our quality, affordability, and wide selection of quality used cars for sale. Our Hyundai Certified Pre-Owned Vehicles go through a rigorous and thorough multi-point inspection for safety and quality, assuring you that you are purchasing a reliable vehicle that will take you many miles down the road. Each comes with America’s Best Warranty—a 10-year/100,000 mile limited powertrain warranty—as well as a free CARFAX report, rental car/travel reimbursement, a complimentary three-month subscription to SiriusXM Radio®, and 10 years of unlimited roadside assistance. Additionally, we have many money-saving used car specials, as well as bargain used cars under $10,000. If you'd like to find out about your car's trade-in value, our vehicle appraiser tool will tell you in a few easy steps. Or contact us for immediate assistance from a Jim Burke Hyundai team member. There's no trick to getting a great deal on a new or pre-owned vehicle at our Hyundai dealership near Tuscaloosa. Our dedicated team of finance professionals will work hard to secure the lowest possible interest rate and the best possible financing terms. Your first step to getting approved for an auto loan through our car dealership in Birmingham? Fill out a simple online finance application that asks you a few basic questions. It only takes a few minutes, speeding up the pre-approval process. From there, we'll work with a variety of lenders to personalize your financing needs to suit your budget and financial situation. We make the entire process simple and hassle-free-something many other car dealers in Birmingham can't do. Even if you have poor credit, you’ll find that our Birmingham car dealership can help you get behind the wheel of an affordable vehicle! We also offer a college graduate program for all you new and returning Bama students! For more information about these auto financing programs or our current Hyundai lease incentives, please contact our finance department at (205) 386-9591. Our Jim Burke Hyundai service team provides a variety of services and resources to keep your vehicle in top shape. The highly trained and certified technicians at our Hyundai service center will ensure that your car is maintained and repaired properly. We also make it easy to schedule a service appointment online or contact a service technician with any questions you may have. Be sure to check out our valuable auto service specials to save your hard-earned money. For additional questions regarding, service, parts, special offers, or factory recalls, please contact our service department.